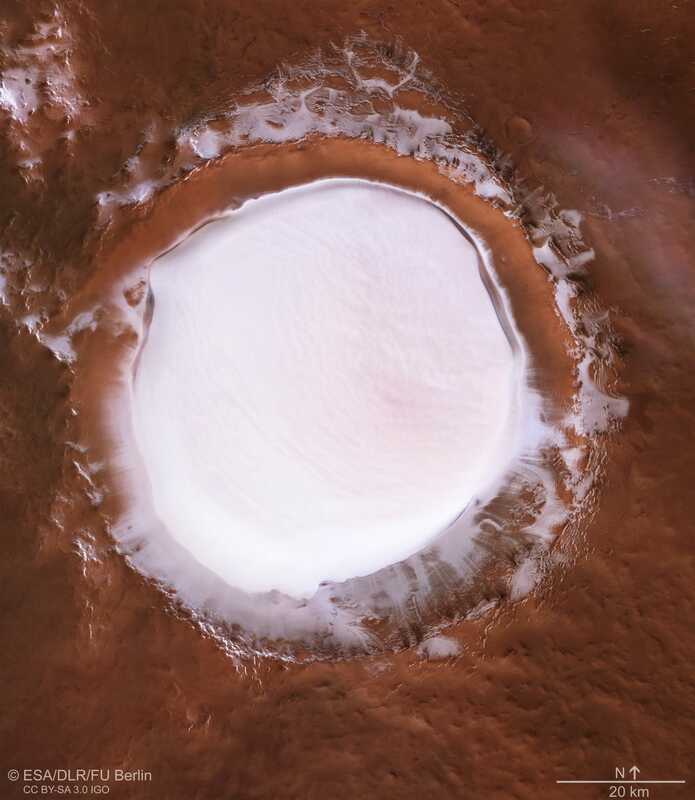 Named after Russian rocket scientist Sergey Korolev, this incredible crater is located in the northern lowlands of Mars and just south of Olympia Undae—a large patch of dune-filled terrain that encircles the planet’s northern polar cap. It may look as if Korolev crater is filled with snow, but it’s actually ice. The impressive impact crater measures 51 miles across (82 kilometres), and at the centre of the circle—its deepest point—the ice extends down for 1.1 miles (1.8 kilometres). 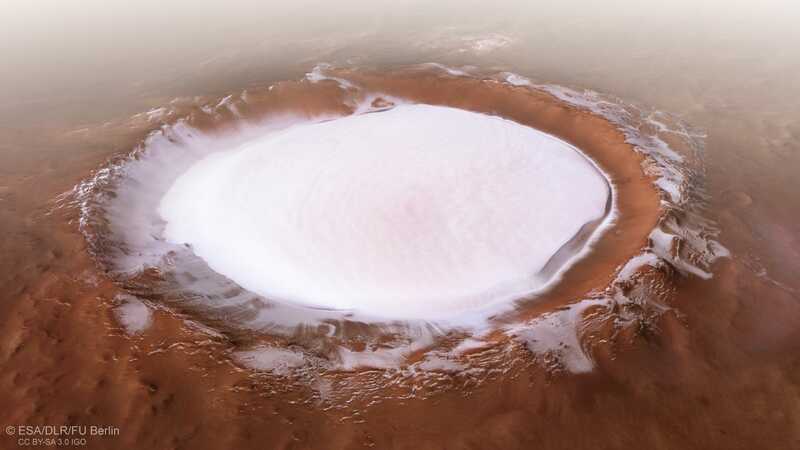 This stunning new photo of the crater was captured by the High Resolution Stereo Camera (HRSC) instrument on the European Space Agency’s Mars Express satellite, which has been in orbit around Mars for the past 15 years. The image was stitched together from five distinct strips, each of which was captured during a different orbit this past April. The image was processed to show how Korolev crater appears when viewed from an angle, and colour corrected to show how it would appear to a human observer. An overhead view (below) and topographical view of the crater were also released by the ESA. Overhead view of Korolev crater.